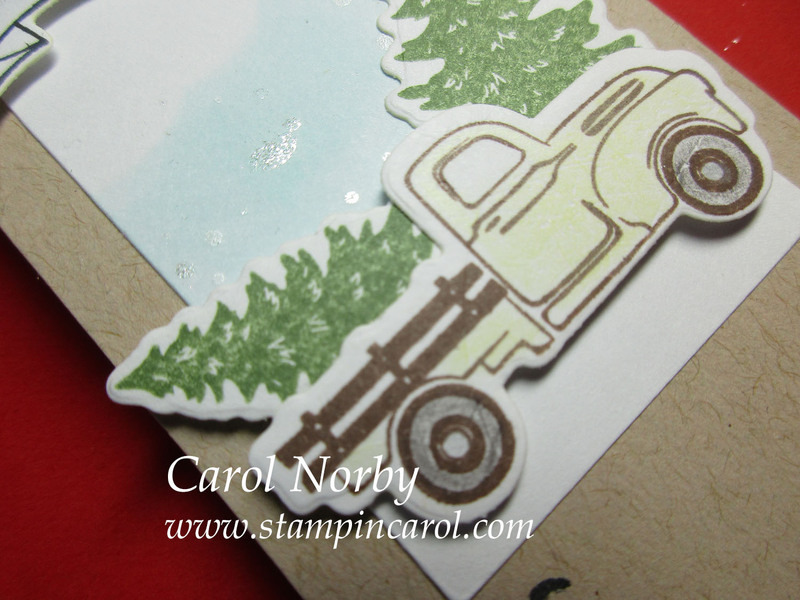 Stampin Carol: Tag, You're It! 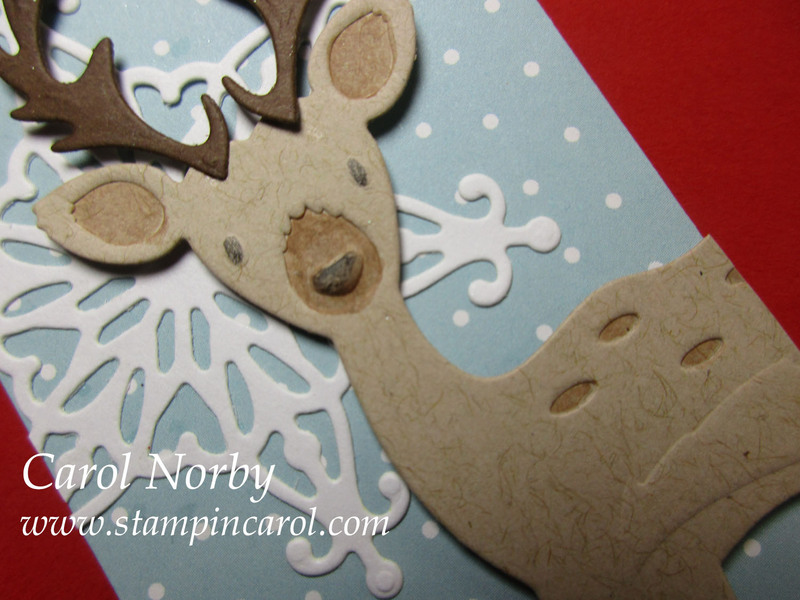 I really didn't have a solid plan yesterday when I made my FB Live video for my Stampin Carol page but, I think it came out ok. 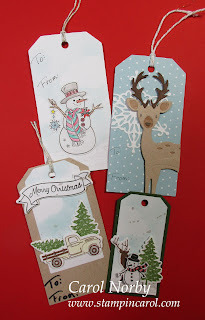 I investigated different ways of using a few products to make tags and after the video I finished the 4 I was playing with. Basically I just played with placement of different elements and some suggestions while making the video. But these 4 came about (kinda). This one used a FSJ sticker (a gift with purchase or hostess benefit a year or so ago) that I colored with Color Splash Pencils. I also used my Small Dauber, pad, Pool Play ink, Cloud Dreams die cut (as a stencil), and Sparkle Silk. I used a Spellbinder die, Woodland Deer (on sale!) and a FSJ die, Frosty Snowflake, for this. I colored places on the deer using Color Splash pencils. The tag paper is some from my stash. 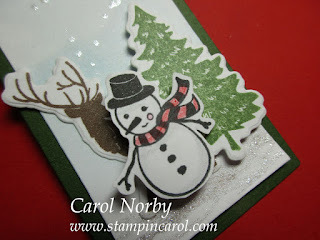 For these 2 tags I used Winter Build-A-Scene ATS stamp set and Winter Build-A-Scene die set. 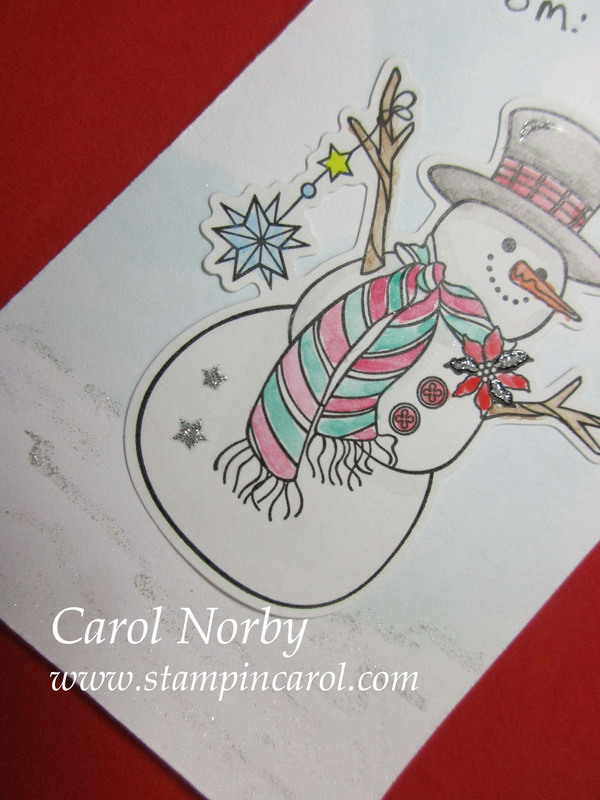 Also used Fresh Forest, Black Licorice, and Hazelnut Blend inks along with my Color Burst Pencils (snowman). I made the same background as the first tag. And I used Sparkle Silk on the backgrounds and you can see it clearly. I used the Steel Rule Tag Set die for all, added either Journey Thread Silver or Gift Twine, and used various FSJ card stocks. I hand wrote the To/From using either a fine tip Sharpie or black journaling pen. For adhesives I used the Easy Glide Runner and Foam Squares med. (I cut them to fit where I needed), my Platinum machine to die cut, and my Details Pro Shears to cut out the small snowman. Did you watch my video? Just click on the YouTube logo and look for the Nov. 14 video. It's unedited and lasts just over 15 minutes.